While countries the world over usually have one or perhaps two official languages, the post-Apartheid democratic constitution recognises 11 official languages as part of South Africa’s multi-cultural heritage. The decision to recognise so many languages was a pointed effort at elevating and advancing the indigenous tongues that were suppressed and given lower social status by the government before 1994. Today, thanks to our country’s rich and diverse melting pot population, the majority of South Africans are able to speak more than one language and will often employ several of them during a single conversation. 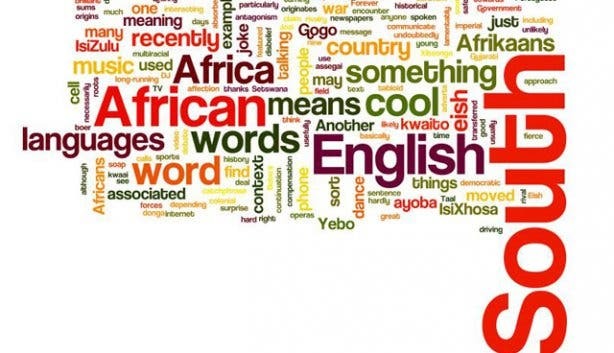 English, which was brought over by the British back in the 1800s, is the lingua franca and is the most frequently used language in media and by politicians and government officials; although, speakers of Afrikaans, Xhosa, Zulu, Northern Sotho, Southern Sotho, Tsonga, Setswana, Venda, Swati and Ndebele can certainly find radio and TV programmes as well as newspapers in their mother tongue. Other unofficial languages recognised in the constitution include the Khoi, San and Nama languages, Sign language, Portuguese, Hindi and indigenous creoles. In order to encourage Mzansi’s multilingual diversity and advance the use of all the official languages, the Basic Education Department is initiating a pilot programme to introduce a third South African language into primary schools’ curriculum for the 2014 academic year (most schools teach English and Afrikaans or English and another South African language). The Western Cape Education Department is already considering introducing Xhosa, which is widely spoken in the province, to Grade R and One pupils in 80 schools. Having said that, here’s a quick breakdown of South Africa’s terrific tongues, but don’t expect to learn what “now now” and “just now” actually mean. Different languages tend to be associated with particular regions in South Africa; although, many local lingos separated by even great distances share similarities because of common ancestry, like the Nguni languages or the Sotho languages. Indeed, even South African English is coloured by the many different flavours of rainbow nation speakers, which is why you’ll find words like “braai”, “eish” and “mampara” (a fool) sprinkled into conversations. 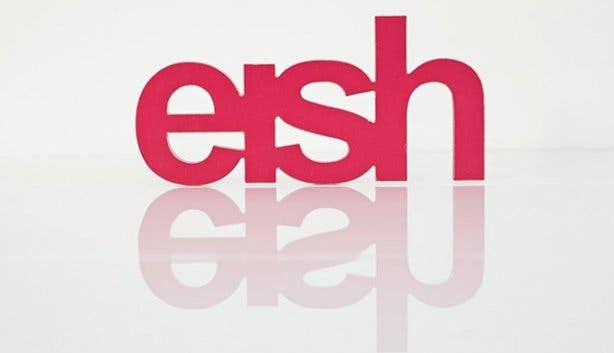 According to the 2011 census, Xhosa, or isiXhosa, is South Africa’s second-most widely spoken home language, with the majority of its speakers living in the Eastern and Western Cape. Like Zulu, Ndebele and Swati, Xhosa is part of the indigenous Nguni subgroup and, therefore, can be partially understood by those who are familiar with the related languages in this family. The key characteristic of this language is the integration of clicks made using the tongue, teeth and back of the throat, and what makes it even more complex for new speakers is the fact that it is a tonal language, which means that words that look the same when written can have different meanings based on a rising or falling inflection when said out loud. Key phrases: “Molo” – Hello; “Enkosi” –Thank you; “Andiva” – I don’t understand; “Awusemhle!” – You are beautiful! Learn to speak Xhosa: Xhosa Fundis Language School offers top quality courses and learning materials for adults and children who want to learn to speak Xhosa. They are open 9am to 1pm on weekdays. The Zulu people take their name from the warrior King Shaka, who was responsible for the unification and rise to power of the ancient kingdom, and make up South Africa’s largest ethnic group, making isiZulu the most common home language in the country (census 2011). The majority of these speakers live on the East Coast in Kwa-Zulu Natal; although, Zulu is also widely spoken in Gauteng. Like Xhosa and other languages in the Nguni group, Zulu contains clicks as well as words that are differentiated by tone but not necessarily by spelling. Key phrases: “Sawubona” – Hello; “Lala kahle” – Good night; “Ungathanda ukudansa nami?” – Would you like to dance with me? Learn to speak Zulu: The Language Teaching Centre offers full time, part time and private lesson for locals and foreigners wishing to pick up a new language. With roots in 17th century Dutch and influences from English, Malaysian, German, Portuguese, French and some African languages, Afrikaans was the third most widely spoken home language in South Africa as of the 2011 census. It was originally known as Cape Dutch, with proper Dutch being the formal written language. After Afrikaans was made official in 1925 and promoted alongside Afrikaner nationalism with the birth of Apartheid in 1948, it became stigmatized as the language of an oppressive government because of its role in the promotion of minority white rule. Today the majority of Afrikaans speakers are non-whites, and the language is most widely spoken in the Western Cape; although, Afrikaans is also understood and used by a fair portion of the population in the Northen Cape, Guateng, the Free State, the North West Province and many other parts of the country. Learn to speak Afrikaans: Learn how to speak Afrikaans at Inlingua Language School in Green Point, which offers courses for business and social purposes. Sesotho sa Leboa, which directly translates to Sotho of the North, is made up of a collection of approximately 30 dialects and is part of the Sotho group of languages, which also includes Southern Sotho and Tswana. Northern Sotho is mistakenly referred to as Sepedi in the national constitution, a word that actually refers to the language spoken by the Bapedi people of the north and one of the dialects that make up Sesotho sa Leboa. It is predominately spoken in Limpopo, but also is used in Gauteng and Mpumalanga. Southern Sotho, or Sesotho, is the primary official language of Lesotho, a country that, strangely enough, is entirely landlocked by South Africa. Within the rainbow nation it is spoken mainly by those who live in the Free State, a province that borders Lesotho. You can also hear it in Gauteng and a bit in the North West, and, as is the case with Northern Sotho, speakers of this variety of Sotho can understand others in the same language family. Southern Sotho was first introduced to the written form by a French missionary. The Kwena dialect spoken by King Moshoeshoe of Lesotho, who is regarded as the father of the Basotho people, was used in the first translation of the Bible into this language and become the standard form of written Sesotho. Setswana is mainly spoken in the North West province, which borders the country of Botswana (where the language is used by the majority of the population). It is mutually intelligible with other languages in the Sotho family and can also be heard in the Northern Cape, Gauteng and the Free State. One of the most famous Setswana speakers was journalist, intellectual, politician, translator and writer Sol Plaatje, who was also one of the founding members of the African National Congress (ANC). He was fluent in seven languages and translated the works of Shakespeare into Setswana. Speakers of Venda, or Tshivenda, are culturally closer to the Shona people of Zimbabwe than they are to any other South African clan; although, the language does share features with Northern Sotho and the Nguni subgroup. Tshivenda speakers are mainly concentrated in Limpopo, but the language can also be heard in Gauteng. The ruins of the Venda people’s first capital are still standing in the Soutpansberg Mountains in the Limpopo province. Aside from the population of Ndebele speakers, the Venda-speaking group is the smallest (2.4% of the population) in South Africa (census 2011). Key phrases: “Ndaa” (males say Ndaa) females say "Aa" – Hello; “Mashudu mavhuya” - Good luck; “Vha khou ita mini?” – What are you doing? 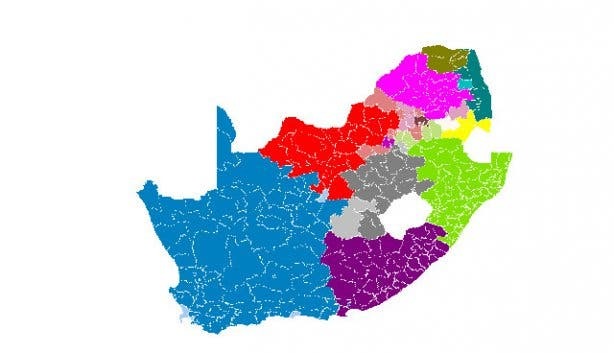 isiNdebele is a minority tongue, as only a small percentage (2.1%) of South Africans can speak the Nguni language, and the majority of theses speakers live in Mpumalanga (census 2011). Well known for their colourful beadwork, the Ndebele people were originally from Kwa-Zulu Natal; although, there are also Ndebele people whose origins are in Zimbabwe, where they speak dialects of the language as well. Like most of the Nguni languages, isiNdebele is tonal and sentences are dominated by nouns. The Tsonga people were one of the final groups to come to South Africa, settling in the Limpopo River valley, where Xitsonga, the language, is mainly spoken today; although, it is also used in Mpumalanga and among a small population in Gauteng as well. Xitsonga is neither a Sotho nor an Nguni language; though, it has some Nguni language influences and is quite similar to Shangaan, a language spoken by population groups in Mozambique, Zimbabwe and Swaziland. siSwati is the main language in Swaziland, an independent nation that lies within South African borders, and is predominantly spoken in eastern Mpumalanga, a province flush with the landlocked country. It is one of the four Nguni languages and is most closely related to isiZulu; although, attempts have been made to differentiate the two in order to further the standardization of siSwati. Like isiNdebele and Tshivenda, siSwati is spoken by only a small portion (less than 3%) of the South African population (census 2011). If you want wax poetic like a local, check out our beginner’s guide to Cape Town slang. Ja nee, it’s duidelik! Use our events section for an up-to-date overview of happenings in Cape Town. Also don’t forget to subscribe to our newsletter, follow us on Twitter, like us on Facebook, join our Google+ circle, connect with us on LinkedIn and check out our Pinterest boards for updates.